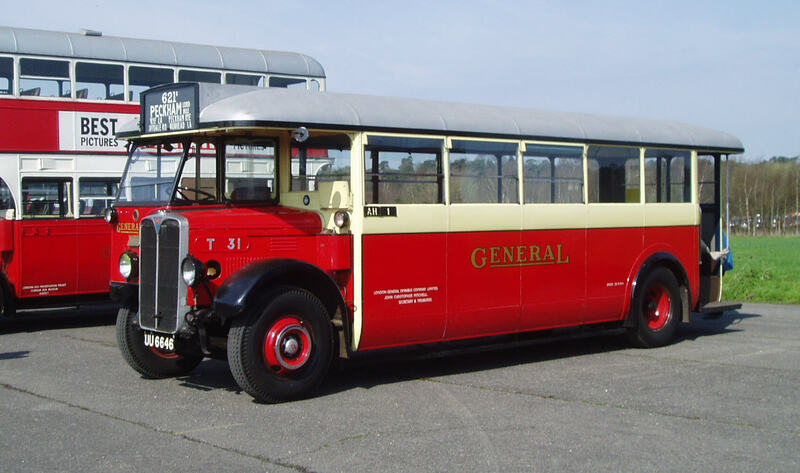 T31’s chassis was built by AEC, a company which was originally owned by the LGOC and retained close association with London buses throughout its existence. 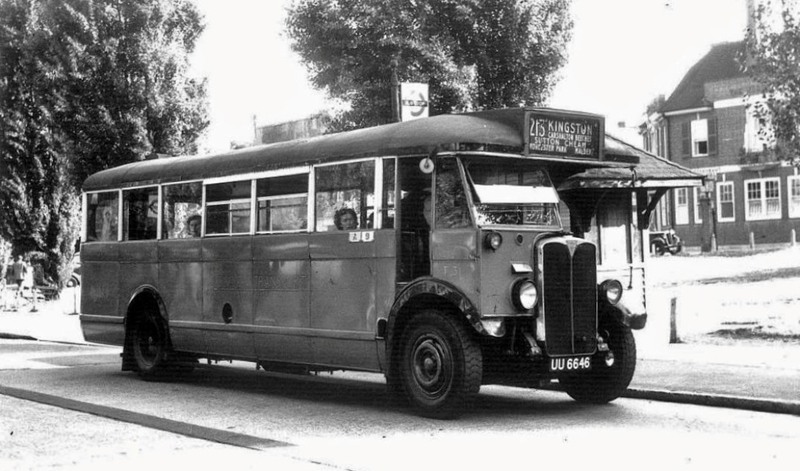 The body was built by the LGOC themselves at their famous Chiswick bus works, which was later to pass to London Transport and closed in the 1980s. T31 in its latter days with LT, in use as a trainer. Note the forward entrance. Photographer unknown. 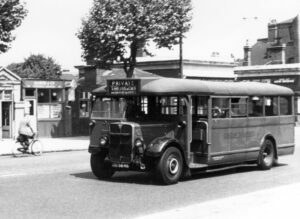 T31 entered service on 31st December 1929 at Nunhead garage on route 621. A conversion to front entrance was carried out in 1931. 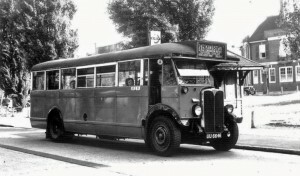 Originally withdrawn in July 1948, it was reprieved and returned to service, being re-engined to diesel in June 1950. 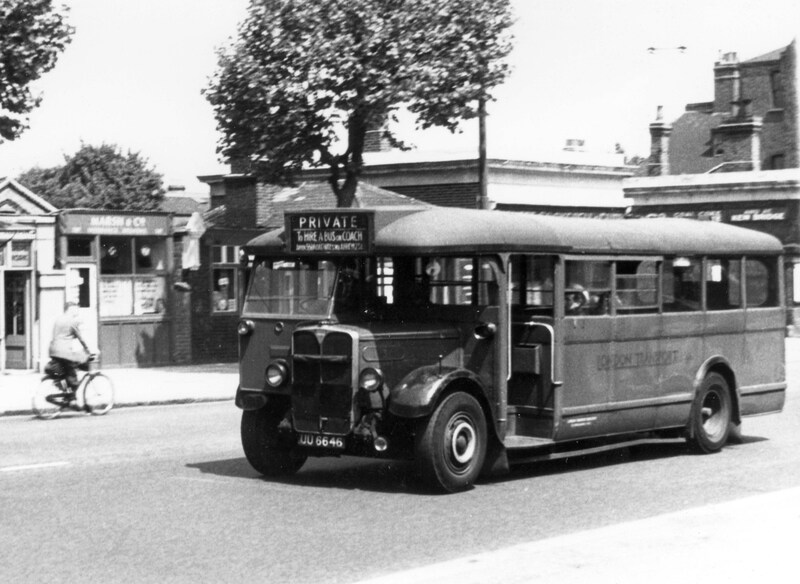 It began training duties from Hounslow in July 1952, finally being withdrawn in June 1956. 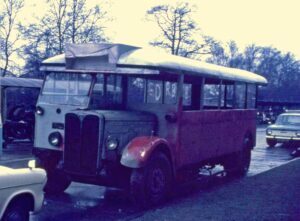 It was sold in October 1956 and was the last ex-London General Omnibus Company vehicle to be operated by London Transport. 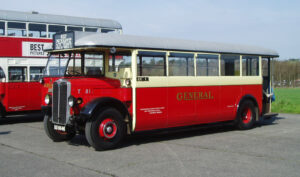 Purchased by a private group for £45, it is generally accepted to be the first bus to have been privately preserved in the UK. It was subsequently totally rebuilt to original rear-entrance specification, concealed interior lighting and petrol engine, which was completed in 1979. 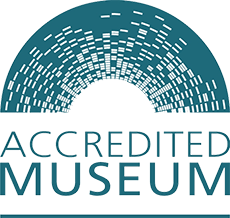 The Museum purchased the vehicle in 1994, with a 50% grant from the Science Museum ‘Prism’ fund.